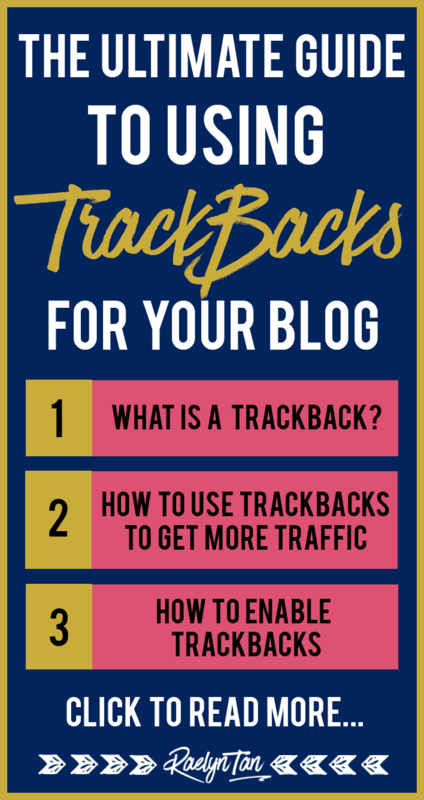 What is a Trackback? Here's How To Get More Traffic Using Trackbacks! 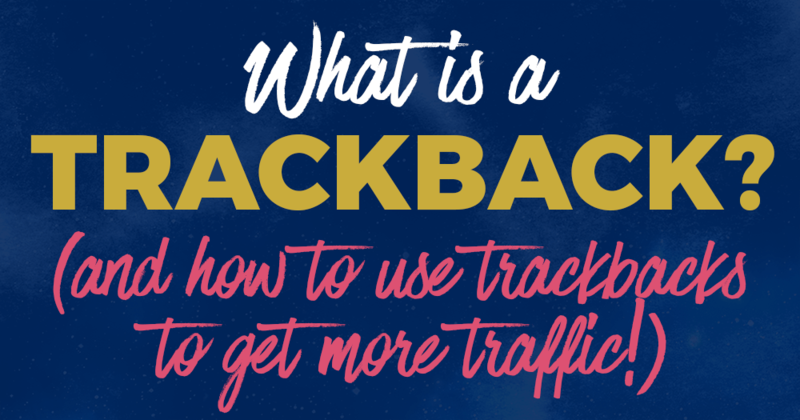 What is a Trackback? Here’s How To Get More Traffic Using Trackbacks! You may have heard of bloggers throwing that term around, or perhaps you’ve seen some trackbacks appearing in your WordPress editor. Today, I’ll be writing a comprehensive and practical guide about trackbacks to cover everything you need to know about it. 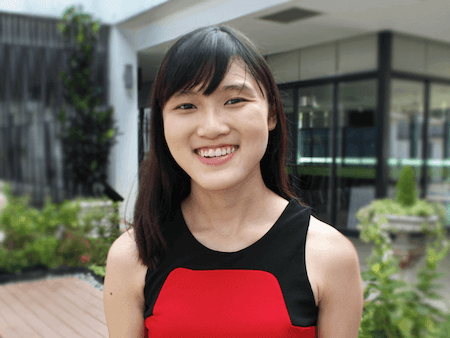 Essentially, you’ll be learning the what, why and how-tos of using trackbacks! Trackbacks are a way for websites to communicate with each other. When you link to someone and they have trackbacks enabled, a summary of your post with a link to your site will appear in their comment moderation section. If they approve your trackback, a link to your site will appear in their comments section. 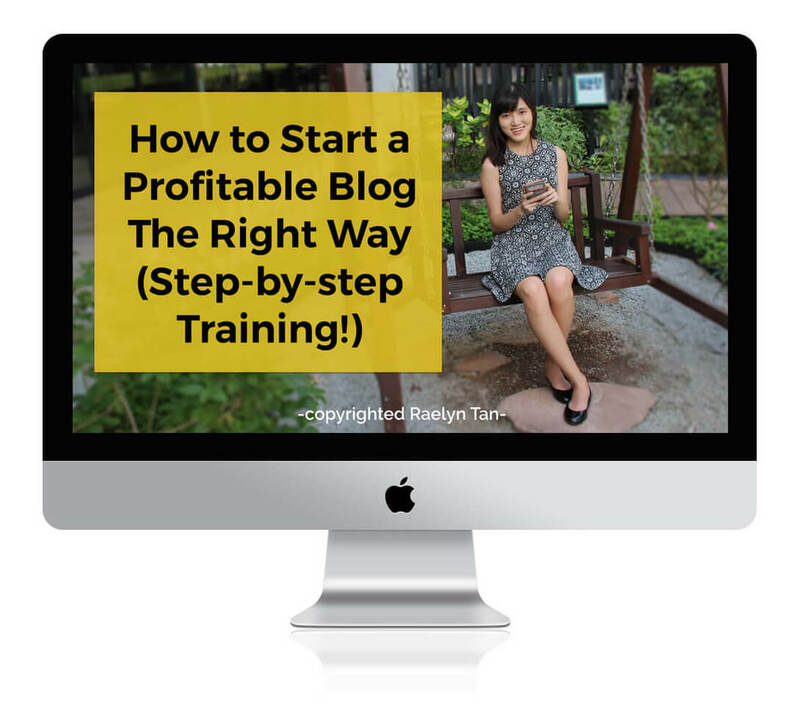 Trackbacks were originally invented for bloggers to notify other bloggers when they’ve linked to their blog. How do you send a trackback? Trackbacks happen automatically in most cases. There is nothing else you need to do. If you’ve linked to someone in your blog post and they have trackbacks enabled, you’ll send a trackback to them which they may or may not publish on their site. If they do, you get an additional link to your website! Usually, this is a no-follow link, but their website visitors can still choose to click on it to come to your website, as your article would usually be relevant to what they want to learn more about. This will result in more traffic for you. How do you disable trackbacks? If you have trackbacks enabled for any period of time, you will notice that most of the trackbacks you receive are SPAM, much like all the spam blog comments you will also get. This will disable your trackbacks. From my personal experience, I find trackbacks to be a waste of time due to all the spam. I wouldn’t bother! So don’t worry, you aren’t missing out on anything. Here are 100 other ways to get more traffic. Still No Traffic Coming To Your Website? Here Are 10 Key Reasons Why.